Aikido and Brazilian Jiu Jitsu blackbelt Roy Dean presents a comprehensive overview of wristlocks on this 2 DVD set. 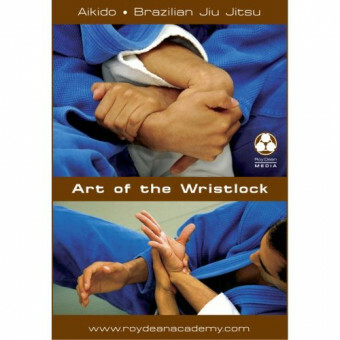 Disc I covers 7 basic techniques of Aikido, clearly explained and demonstrated, including variations influenced by Roy Dean’s training in Japanese Jujutsu and BJJ. Wristlocks specifically for groundfighting are detailed, with every technique shows having had proven success against resisting opponents. Blackbelt demonstrations in aiki arts and competition footage with wristlocks are also included. Disc II contains 3 seminars held at the beautiful Yosokan Dojo in Monterey, California. The first covers basic BJJ techniques and their correlation to Aikido movements. The second connects standing wristlocks with BJJ groundwork, and the third is a no gi grappling clinic that explores footlocks and lower body submissions.